Click the button below to add the Cuticle & Nail Serum to your wish list. This Cuticle & Nail Serum is specially formulated to nourish, protect and strengthen nails and cuticles with a unique blend of antioxidant and antibacterial ingredients. Super plant oils Sea Buckthorn, Kukui Nut and more are rich in vitamins and nutrients to help refresh and restore your cuticles. Jojoba, Castor and Manuka oils help soften, soothe and protect as the formula absorbs quickly. Pure Vitamin E moisturizes and replenishes for nails and cuticles brimming with health. Your nails and cuticles will become resilient, softer and healthier with our nutritive serum. Moisturizes, restores and softens dry, cracked cuticles. Nutrient rich nail & cuticle serum made fresh in the USA. Fast, deep absorption improves cuticles and nails, rescuing skin from dryness. Non-greasy and absorbs quickly into your cuticles to begin working. Manuka and Carrot Seed oils are vitamin rich with antibacterial properties. 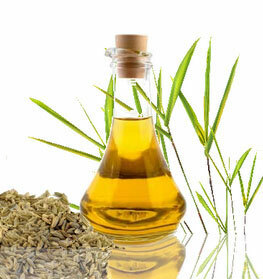 Jojoba Seed Oil works well as a skin moisturizer and controls dry, chapped skin. Kukui Nut Oil safely penetrates into the skin, making it soft and smooth. 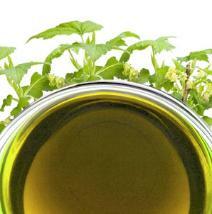 Castor Seed Oil has undecylenic acid, which can treat bacterial and fungal infections. Sea Buckthorn Oil rejuvenates skin by protecting it from damage. Apply 1 drop onto the cuticles and massage into the nail and cuticle until absorbed. Massage into and around nails daily and nightly as needed. • Apply this oil to skin every day to encourage the health of cuticles and nails. • Moisturize your hands with our Hand Lotion. • Use an orange stick to maintain your cuticles. Hippophae Rhamnoides (Sea Buckthorn) Oil, Simmondsia Chinensis (Jojoba Seed) Oil, Aleurites Moluccana (Kukui Nut) Oil, Ricinus Communis (Castor Seed) Oil, Persea Americana (Avocado) Oil, Chamomilla Recutita (Matricaria) Flower Oil, Leptospermum Scoparium (Manuka) Oil, Daucus Carota (Carrot Seed) Oil, Sesamum Indicum (Sesame Seed) Oil, Tocopherol (Vitamin E). LOVE this nutritive nail and cuticle serum! My cuticles were very damaged, and I had loose skin, that hurt and was red and sore. It virtually restored my nails almost immediately, and my nails are starting to get stronger, as well. This is an excellent product. I tried it on my nutritive nails, and it softens cuticles better than anything else I've used. And it's nutritive , too! I strongly recommend this product to those looking for a nutritive cuticle nail care balm. I am a first time user of this cuticle serum. Within a few days my nails have made major improvement. Nail bed is pink and moist, cuticles and nails look great! Will continue to use this product. I've used everything for my nails, I've got tons of oils and most are very messy and greasy. I've noticed an amazing difference in my skin around my nails. It's amazing, I'd recommend it to anyone who has dry or cracked cuticles! I use this oil on my nails and cuticle every day. My nails have been severely damaged by gels and acrylic nails. I see that my cuticles are softer and my nails are getting stronger. I am planning to keep using this product until my nails grow a bit longer. My cuticles are very dry all year. I’ve tried many products and especially like this one. Absorbs quickly, smooths my ragged cuticles and leaves a subtle scent that’s appreciated throughout the day. Only need a little. I still have to use this more for a better review, but so far so good; it's very moisturizing. I much prefer the all natural ingredients, so great job here. I use this cuticle oil on my whole family. I like to do everyone's nails. I have my husband who is a contractor and has dry rough hands and I try to make his hands as presentable as possible. This oil instantly softens his cuticles and make it much easier for me to care for his hands. My two daughters have used this product as well and claim that their nails are growing! Love this cuticle oil. I work a lot with my hands and my nails and cuticle have become dry and brittle. I apply the oil in the morning before work and at night before I sleep. My nails have become so much stronger and are growing. I groom my nails weekly and I do not wear polish. I like them pretty simple and natural. I use this oil on my nails and cuticle every day. My nails have been severely damaged by gels and acrylic nails. I see that my cuticle are softer and my nails are getting stronger. I am planning to keep using this product until my nails grow a bit longer.